Stretching the One Income Dollar: Merry Christmas Everyone! Ria won't be with us this Christmas,( as she is in Roatan) but Erika and her boyfriend Jon will be making it over for supper tomorrow. Other than that, it will be nice to have Gerry home a few extra days and he as well is looking to the time off work. We wish to wish everyone and their families a very safe and peaceful holiday. 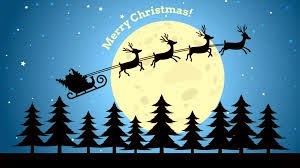 Merry Christmas to you and your family. I hope you are having a wonderful day.